Mountain Ranch Estates has 81 custom homes and lots of approximately .5 acres with great views of the Swaner Preserve and all three ski resorts in Park City. Mountain Ranch Estates is a great option if you are looking to commute to Park City. Below is a drive time map for Mountain Ranch Estates. 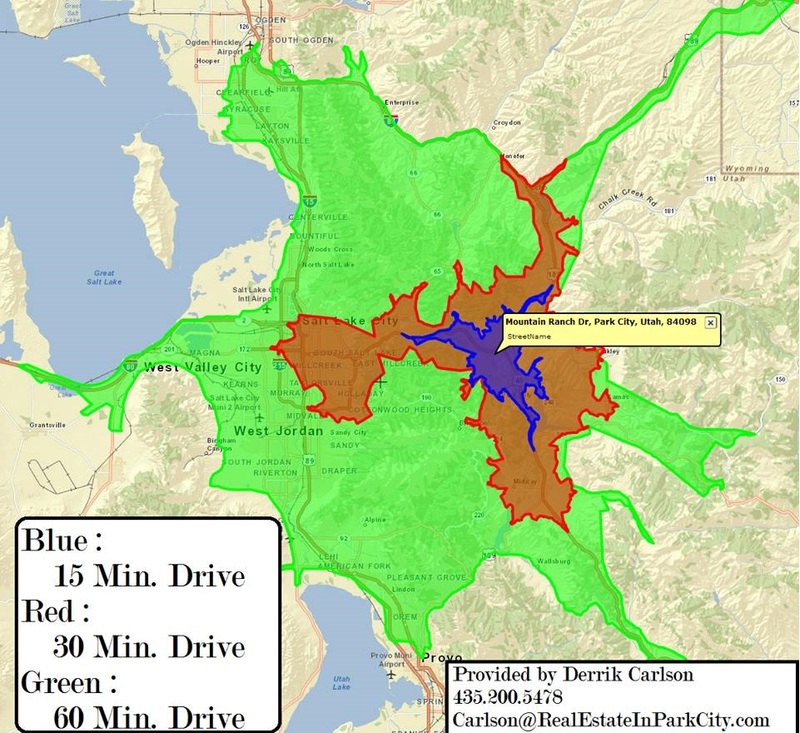 You'll notice downtown Park City is within a 30-minute drive.